Airbrushing a few items for a couple of super heroes at Alison Arts. Airbrushing super hero props at Alison Arts custom paint and airbrushing. 1. Holden Motorcycle tank custom airbrushed for captain America. 2. Thor hammer custom painted for Thor. 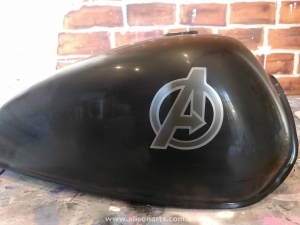 Today we have been custom painting an Avengers logo onto a Honda motorcycle tank for Captain America and also customising a Thor hammer for a female Thor. 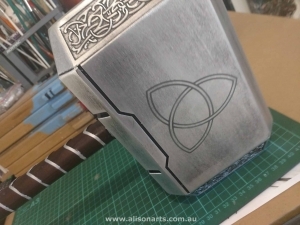 On the opposite side of the hammer I have painted the famous Thor rings symbol. Looks the part! 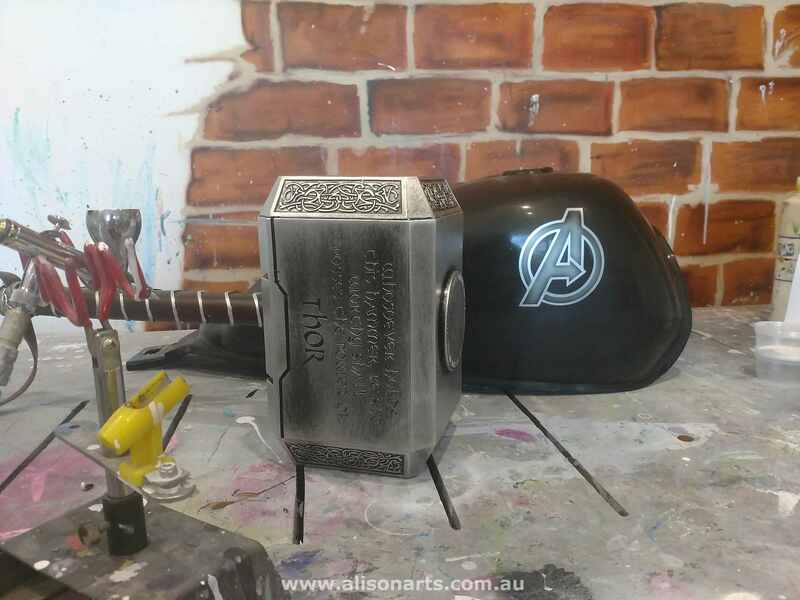 The Holden tank had the Holden logo removed, a fresh coat of custom PPG black paint and then the Avengers logo in silver. These items will be clear coated in a two pack clear coat and then delivered back to the super heroes to use in their day to day saving of the universe.